Last week Red Giant released a new update for Magic Bullet Suite. 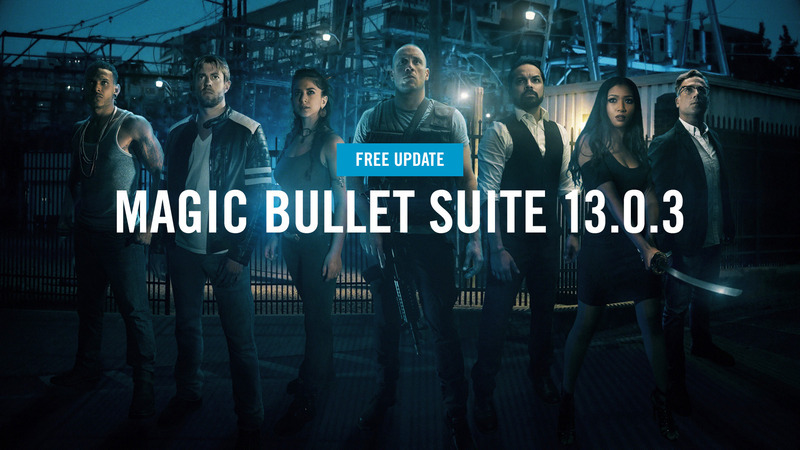 13.0.3 is a free update for owners of the current Magic Bullet Suite 13. This update includes bug fixes for Magic Bullet Looks and additional hardware support for Magic Bullet Colorista IV and Denoiser III on Windows. Fixed an issue that would cause the “Show Skin Overlay” checkbox to not work in the Colorista IV panel. 4K Support for GeForce GTX cards(4GB VRAM and up) for Windows.